Paracity is a biourban organism that is growing on the principles of Open Form: individual design-build actions generating spontaneous communicative reactions on the surrounding built human environment and this organic constructivist dialog leading into self-organized community structures, development and knowledge building. 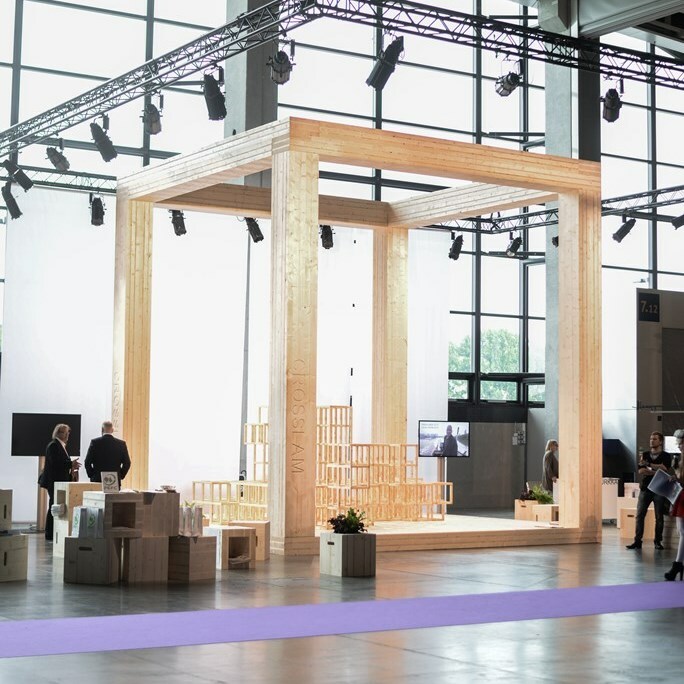 The growing organism the Paracity is based on a three dimensional wooden primary structure, organic grid with spatial modules of 6 x 6 x 6 metres constructed out of CLT cross-laminated timber sticks. 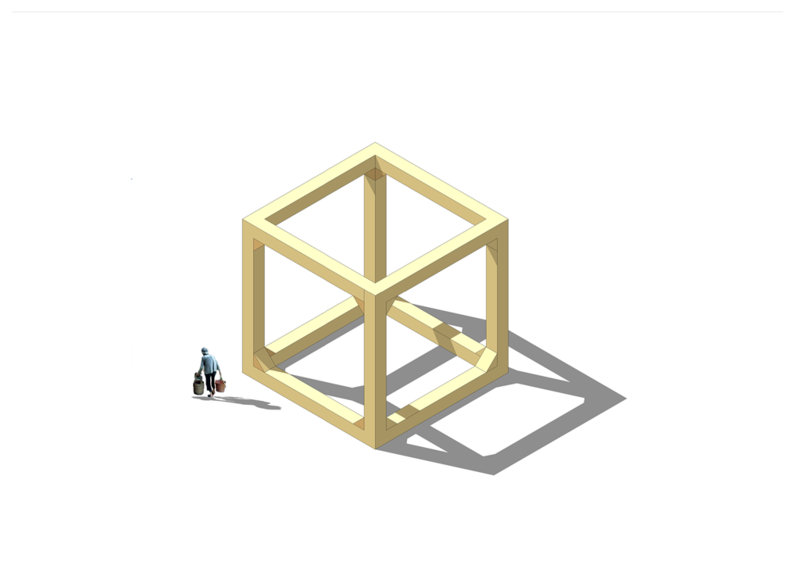 This simple structure can be modified and grown by the community members working as teams or by an assigned Paracity constructor. Axonometric section of the Paracity. 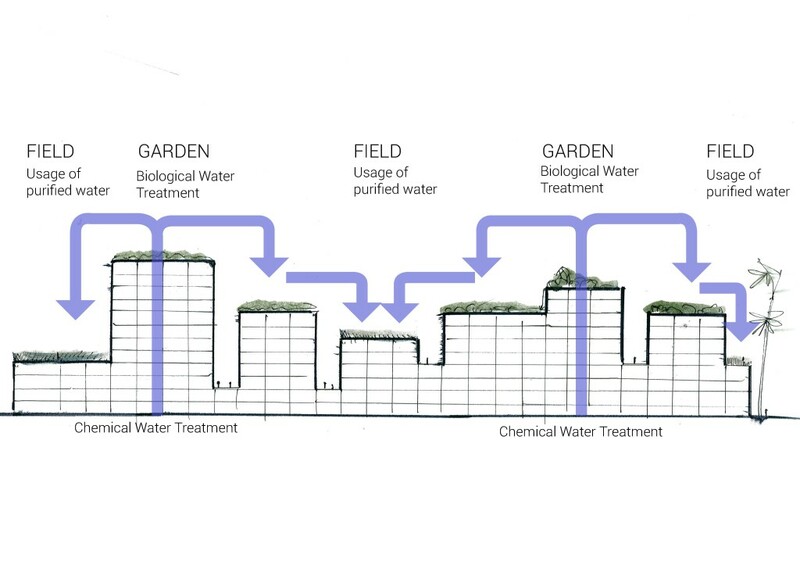 The primary structure can grow even on neglected urban areas, such as river flood plains, hillsides, abandoned industrial areas, storm water channels or slums. Paracity suites perfectly to flooding and tsunami risk areas and the CLT primary structure has a high standard of earthquake performance. 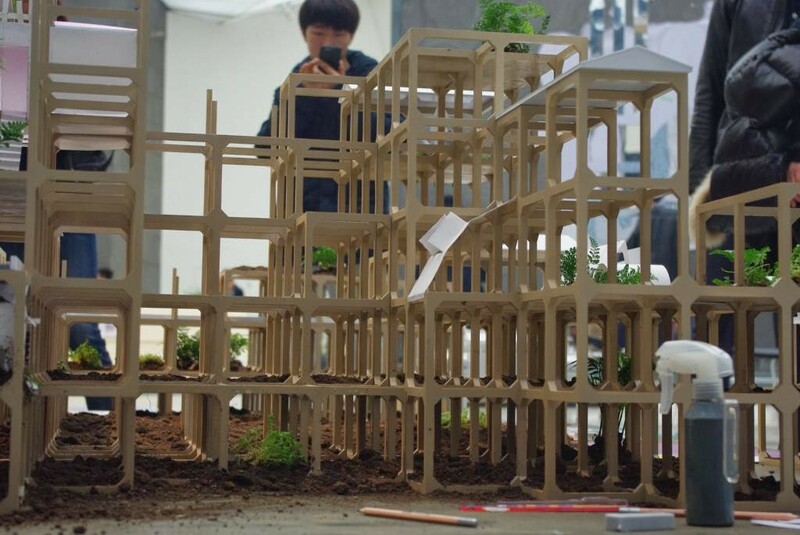 People will attach their individual self-made architectural solutions, gardens and farms on the primary structure, which offers a three dimensional building grid for the DIY architecture. 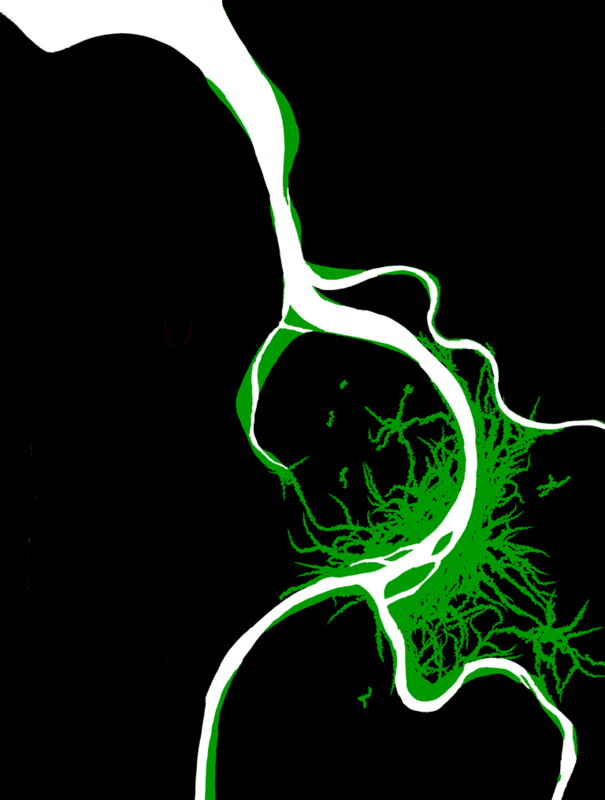 Primary structure offers the main arteries of water and human circulation, but the finer local knowledge nervous networks are grown by the inhabitants. Large parts of the Paracity is occupied by wild and cultivated nature. Paracity growing on the Danshui River island in Taipei. Paracity’s self-sustainable biourban growth is backed up by off-the-grid environmental technology solutions providing methods for water purification, energy production, organic waste treatment, waste water purification and sludge recycling. These modular plug-in components can be adjusted according to the growth of the Paracity and moreover, the whole Paracity is designed not only to treat and circulate its own material streams, but to start leaching waste from its host city becoming a positive urban parasite following the similar kind of symbiosis as in-between slums and the surrounding city. In a sense Paracity is a high-tech slum, which can start tuning the industrial city towards an ecologically more sustainable direction. Paracity is a third generation city, an organic machine, urban compost, which is helping the industrial city to transform into being part of nature. 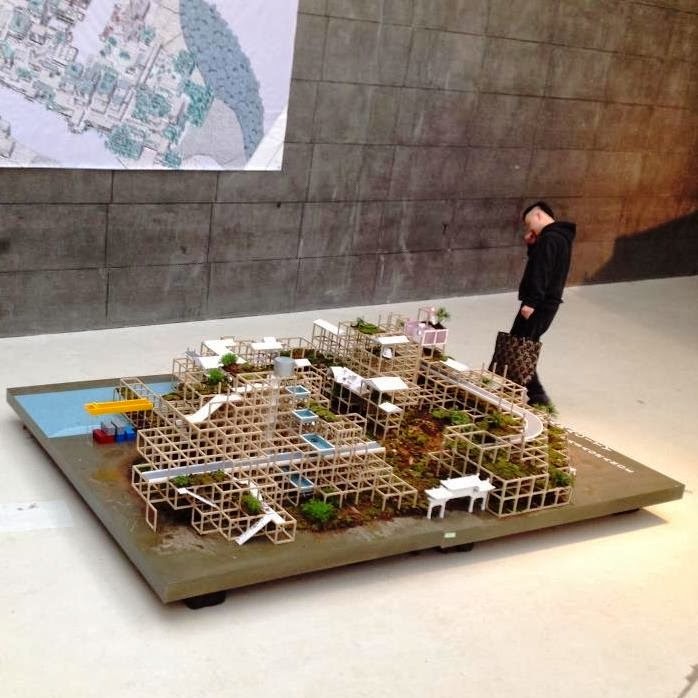 Scale model 1:50 of a fragment of the Paracity exhibited in the China Central Academy of Fine Arts CAFAM Biennale 2014 in Beijing. The model is approx. 6% of the planned Paracity in Taipei. 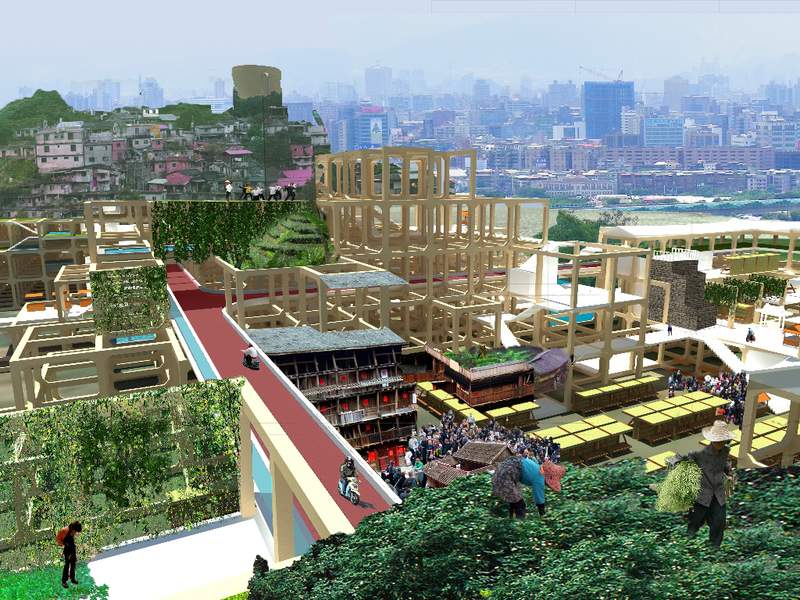 The pilot project of the Paracity is growing on an urban farming island of Danshui River, Taipei City. The island is located between the Zhongxing and Zhonxiao bridges and is around 1000 meters long and 300 meters wide. Paracity Taipei is celebrating the original first generation Taipei urbanism with high level of illegal architecture, self-organized communities, urban farms, community gardens, urban nomads and constructive anarchy. 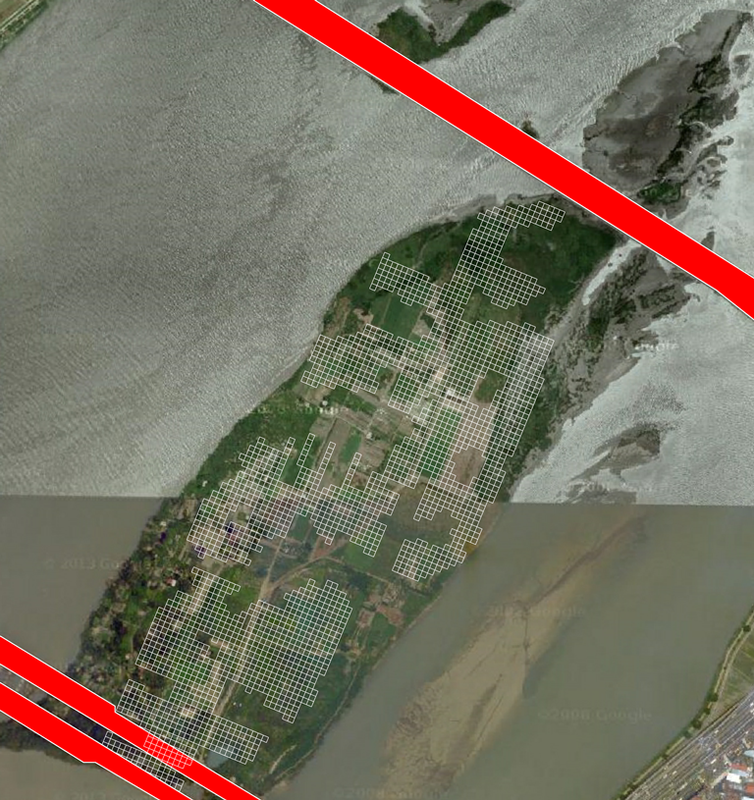 Master plan of the Paracity in Taipei located on a flooding island. Paracity Taipei will be powered mostly by bioenergy that is using the organic waste, including sludge, taken from the surrounding industrial city and by farming fast growing biomass on the flood banks of the Taipei river system. Environmental technology components are mounted on barges that are plugged into the Paracity maintenance docks. Barges can be modified according to the needs of the growing biourbanism. Paracity is based on free flooding. There are no flood walls. 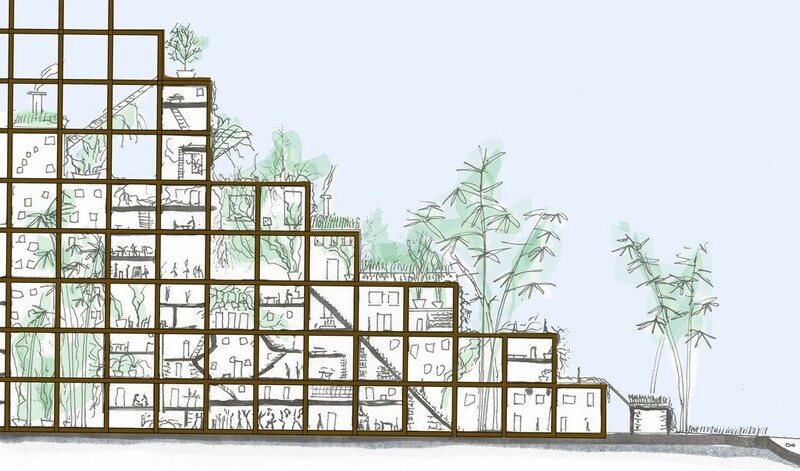 The first 6 m level above the ground is not built, but the whole city is standing on stilts and thus providing the whole ground floor for community actions, nature and space requiring recycling yards. 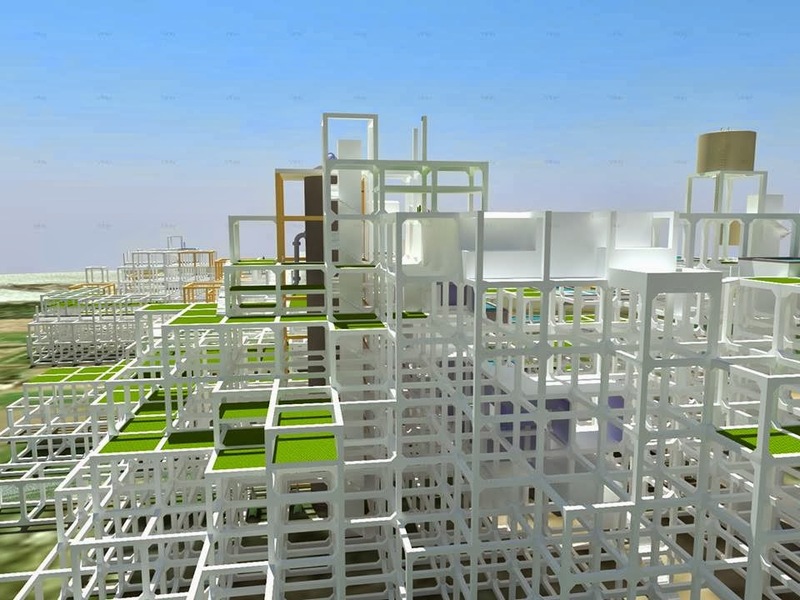 Primary structure into which people will attach their own homes, businesses and gardens. 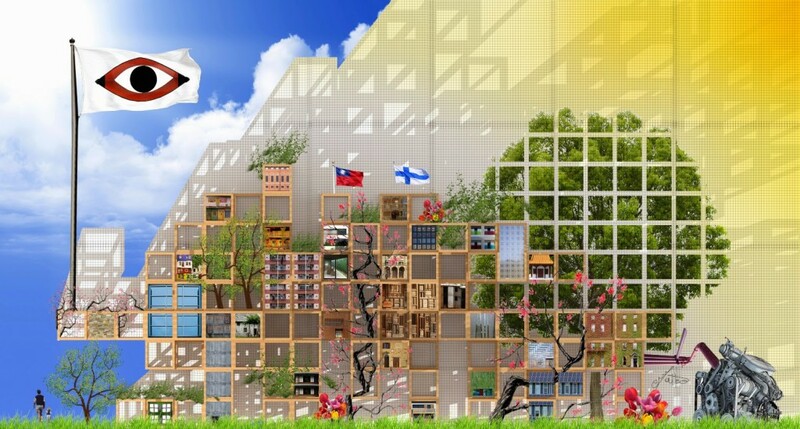 Paracity Taipei will construct itself through impacts of a collective conscious as a nest of post-industrial insects. Paracity is estimated to have 15.000 – 25.000 inhabitants.  In its growth Paracity is following the organic design methodology of Open Form (Oscar Hansen, Svein Hatloy), in which community level design is viewed as an open dialog with design actions generating spontaneous design reactions within the surroundings. 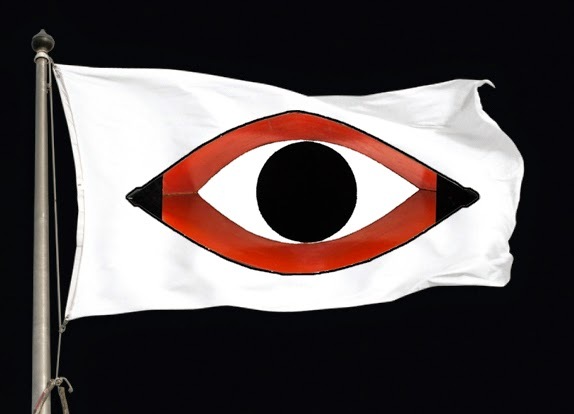 Open Form is close to the original Taiwanese ways of developing the self organized and often “illegal” communities. These microurban settlements are containing a high volume of Local Knowledge, which we also believe will start composting in Paracity, when opening up the community development to the citizens. Centralized architectural control is opened up in order to let nature including human nature to step in. The life providing volume of Paracity is 11, existence maximum, highest possible life in the given conditions, and more. Cross laminated timber primary structure. Paracity provides the skeleton, but citizens bring in the flesh. Design should not replace reality, Flesh is More. on barges. The construction work – the growing of the Paracity primary organism can be manually done by residents in teams of by professional parasite constructors. 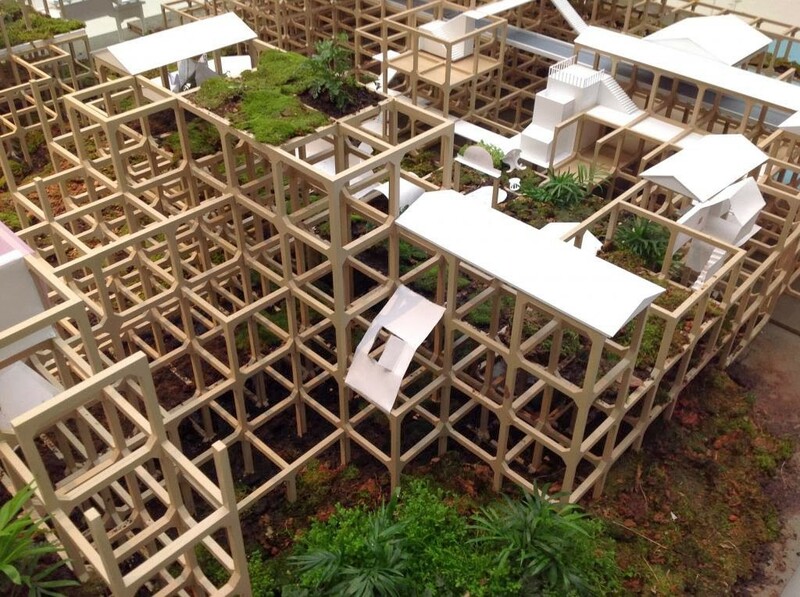 The CLT structure is just a landscape on which citizens will attach their own houses and gardens. 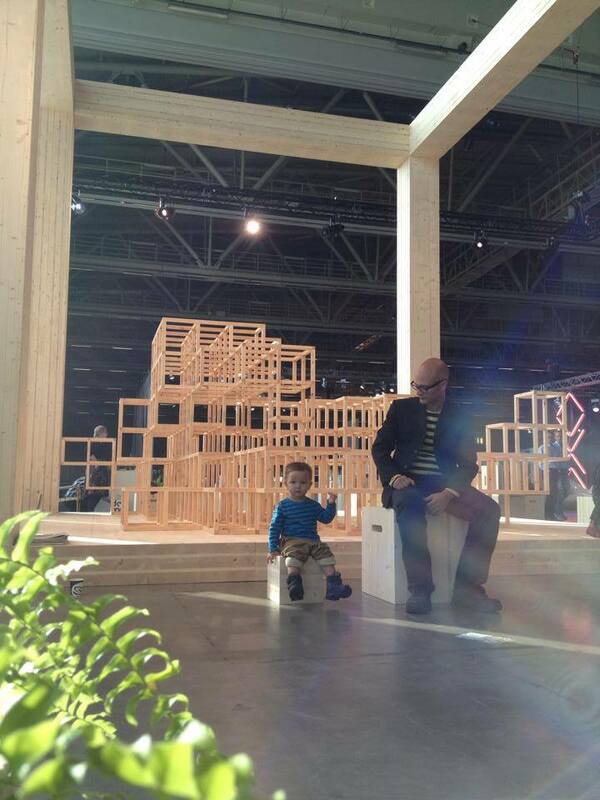 1:1 scale Paracity module at HABITARE 2014, Finland. • Water purification. The infrastructural water circulation is originated from the polluted Danshui River. • Sludge treatment for fertilizer and bio-energy. • Recycling of organic waste for fertilizer and bio-energy. The barges have no problem with the flooding river. Paracity maintenance harbor. Environmental technology will be mounted on barges. The main energy source for the Paracity is bio-energy, which is using both treated organic waste and sludge from Paracity and surrounding Taipei and especially biomass that is harvested around Paracity and on the flood banks of the Taipei rivers. The fertile flood banks, flood plains and storm water channels provide ideal cultivation areas for fast growing biomass plantations. The vegetation will be harvested by boats and then shipped to Paracity Bio-Energy Facility. The growing of the biomass on the river banks will also benefit on the natural river restoration through root cleansing of sediment pollution and the biomass will have a positive impact on the Taipei micro climate and urban ecology. Paracity crossing the 12 m high flood wall into the city. Paracity is living off the material streams from the surrounding Taipei. Even the polluted river is a resource for this biourban intestine. Paracity is Medieval medicine: using leaches to cure the circulation. 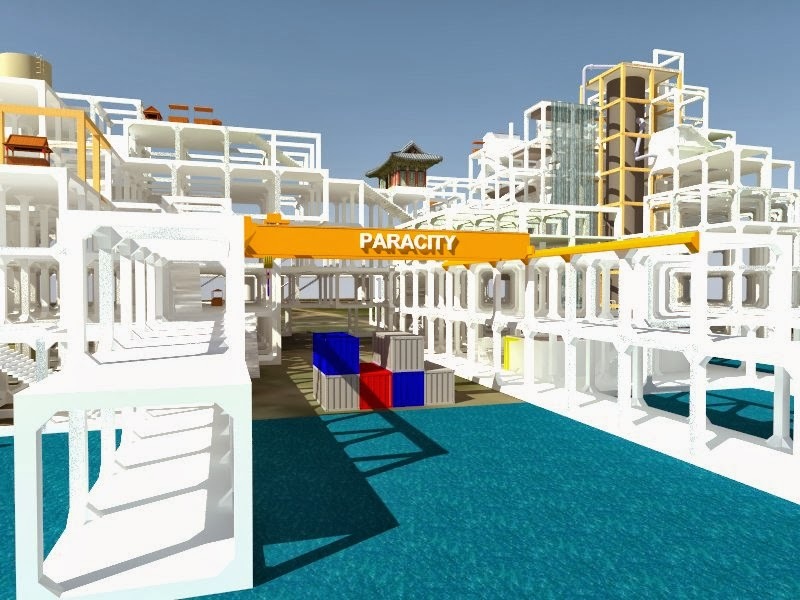 Paracity is letting off the bad blood of Taipei and it uses it a resource. In fact it makes money out of the process. Officially 37% of the Taipei City waste water goes untreated to the river. Paracity wants it all. And it wants all the other materials which the industrial city is regarding as “waste”. Paracity and modern Taipei live in a similar kind of a symbiosis as a slum and the city: the urban nomads will clean the static city from its “waste”; only in Paracity the cleaning and recycling process is boosted up by high environmental technology. In a sense the Paracity is a high-tech slum. Organic Paracity spreading into the surrounding industrial Taipei like a positive cancer. 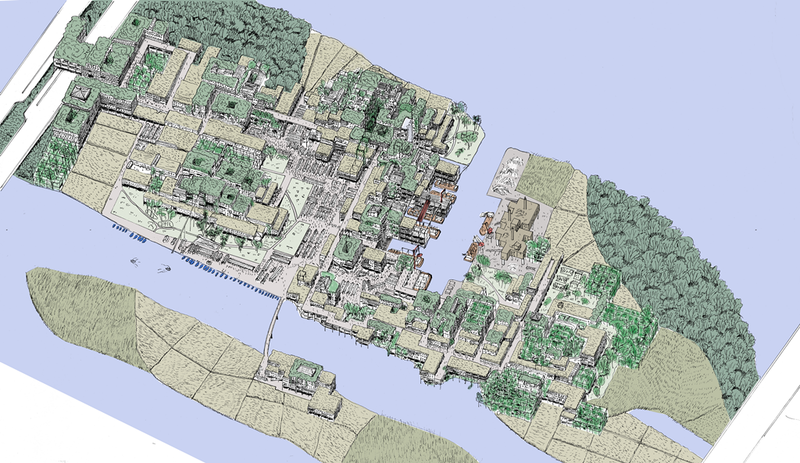 Paracity is a seed of the Third Generation City, the organic ruin of the industrial city (2G). The modular biourban organism is designed to grow following the rule of nature: existence maximum. 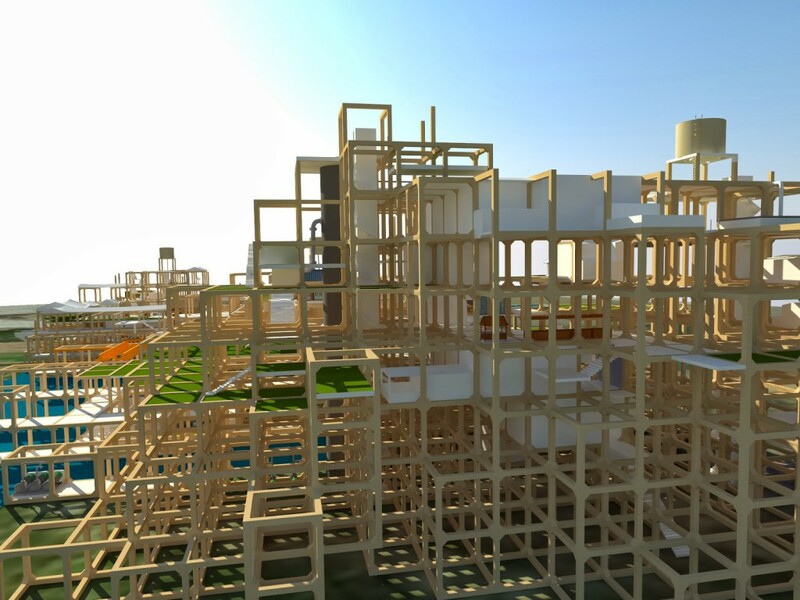 The primary structure can be grown by people and after Paracity has reached the critical mass, the life providing system of the CLT structure will start escalating. It will cross the river and start rooting on the flood plains. Then it will cross the 12 meters high Taipei flood wall and grow gradually into the city. Seeds of the Paracity will start rooting in the urban acupuncture points of Taipei: illegal community gardens, urban farms, abandoned cemeteries and waste-lands. From these acupuncture points the Paracity will start growing following the covered irrigation systems, such as the Liukong Channel and eventually the biourban organism and the static city will find a balance, the Third Generation Taipei. 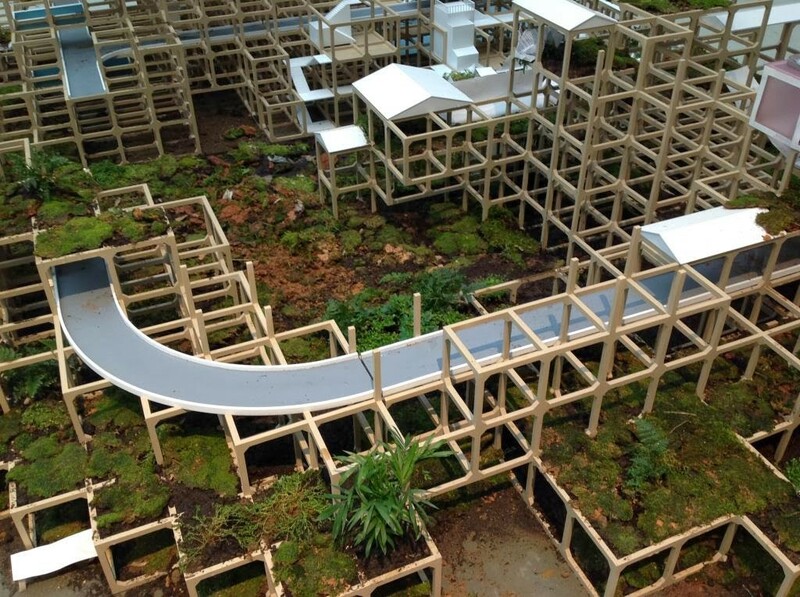 Paracity @ CAFAM Biennale in Beijing. After rooting on the riverside and gaining a critical mass the Paracity will climb over the 12 meters high reinforced concrete flood wall which is separating modern Taipei from the rivers and nature. The flood wall will remain in the guts of the Paracity, but the new structure enables Taipei citizens to fluently reach the river. Paracity will reunite the river reality and the urban fiction. Paracity is a mediator between the modern city and nature. Paracity has a lot of holes, gaps and nature in-between houses. The system is ventilating itself like a large scale beehive of post-industrial insects. The different temperatures of the roofs, gardens, water bodies and shaded platforms will generate small winds between them and the hot roofs will start sucking in breeze from the cooler river. Also the individual houses should follow the traditional principles of bioclimatic architecture and not rely on mechanical air-conditioning. Paracity is based on free flooding. The whole city is standing on stilts allowing the river to pulsate freely with the frequent typhoons and storm waters. The environmental technology of the Paracity is mounted on barges, which have no problem with the flooding either. Actually the Paracity is an organic architectural flood itself, ready to cross the flood wall of Taipei and spread into the mechanical city. After reaching the critical mass Paracity Taipei will cross the Danshui River and root on the flood bank before crossing the 12 meters high reinforced concrete flood wall in order to grow into the industrial city. Paracity is a positive organic tumour in the mechanical tissue of Taipei. While it is leaching and processing the industrial and organic waste of the city, it is gaining momentum in its growth and becomes more and more important to the static industrial urbanism. 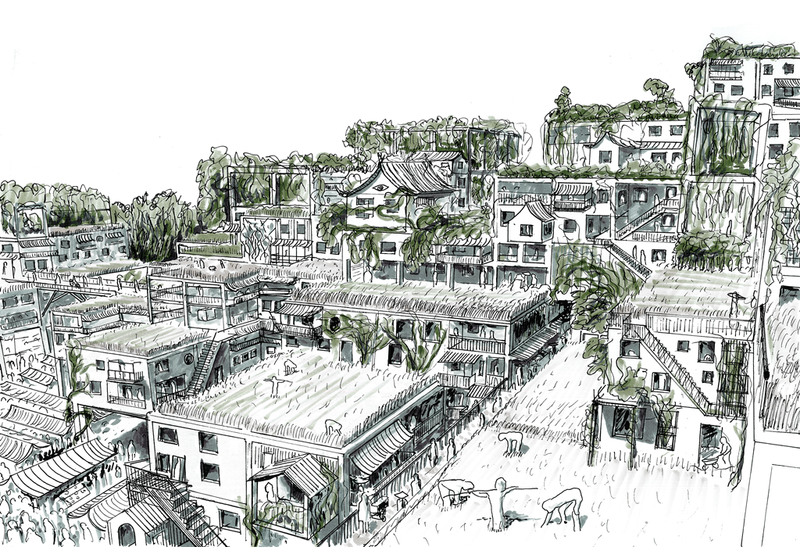 Paracity is an alternative reality within the industrial development and will start treating the city the same ways as the urban acupuncture points of illegal community gardens and urban farms of Taipei do today. Paracity has the ability to become a network of biourban acupuncture tuning the whole industrial city towards the organic, ruining the industrialism on its way to become part of nature, the Third Generation City. The biourbanism of the Paracity is as much landscape as it is architecture. 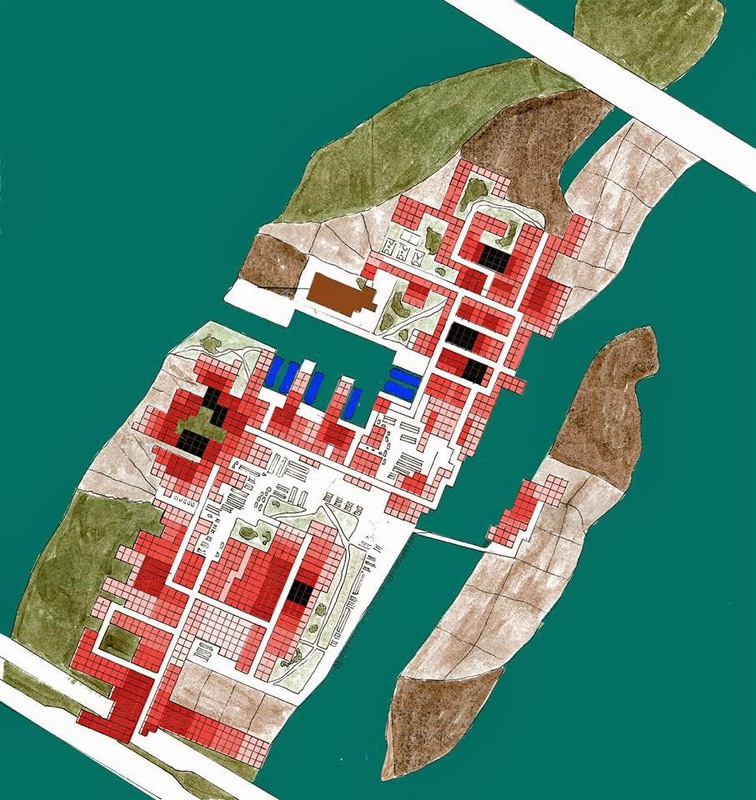 The totalitarian landscape-architecture of Paracity includes organic layers for natural water purification and treatment, community gardening, farming and biomass production as an energy source. Infrastructure and irrigation water originates from the polluted Danshui river and will be both chemically and biologically purified before being used in the farms, gardens and houses of the community. The chemically purified water gets pumped to the roof parks on the top level of the Paracity, from where the gravity will circulate the water into the three dimensional irrigation systems. The pilot-project of the Paracity is designed in Taipei, but the solution is developed to work in different locations around the world. Paracity offers an alternative for the Chinese strategic urban planning to start ecologically harmonizing the growing river cities of China. 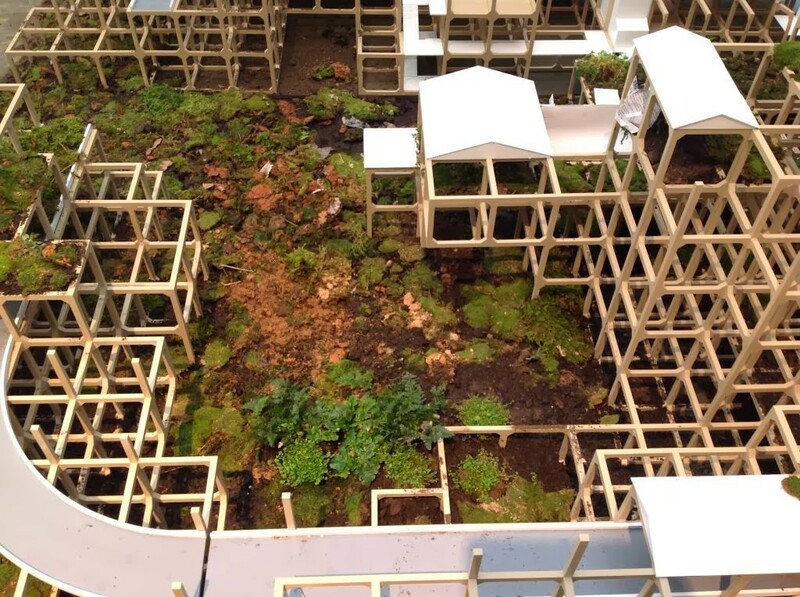 And Paracity can be used as urban acupuncture for the emerging cities of China and elsewhere. Paracity can grow along the Oshiwara chain of slums in Mumbai providing better living conditions, cleaning up the Oshiwara River and more effectively treating the urban waste that is flooding in from the surrounding city. 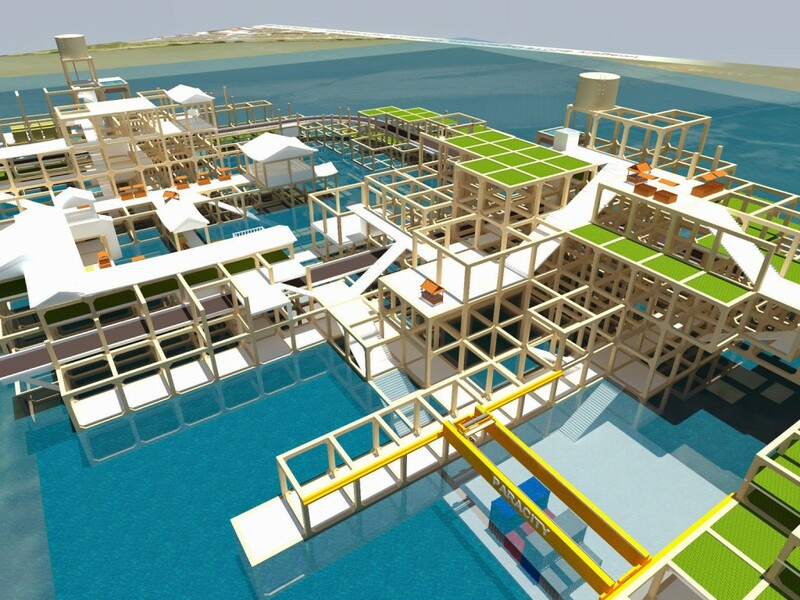 Paracity can parachute into Nairobi and start growing from the fertile top-soil of the slums. 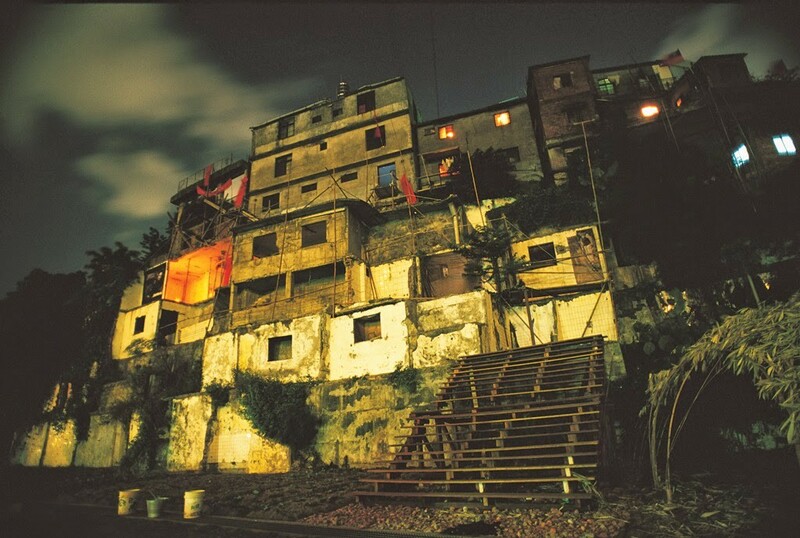 Paracity should grow into the favelas of Brazil and start celebrating the local knowledge of these organic communities. Paracity is organic, adaptable and welcomes local knowledge. The city is built by hands of a high diversity of different people. Treasure Hill in Taipei, the original local knowledge inspiration for the Paracity biourbanism. Paracity is inspired by the Local Knowledge of Taipei, the original Taiwanese urban elements that include a high level of self-made “illegal” architecture, self-organized communities, extensive networks of self-organized community gardens and urban farms, fluid nomadic ways of using the city, communicative collective subconscious in community and urban scale, feeling of dominating the no-man’s land by human nature and other forms of constructive anarchy. The Paracity basically only provides the primary structure, the three dimensional landscape for the Local Knowledge to be attached and grow. The primary structure and the environmental technology solutions will remain pretty much the same no matter in which culture the Paracity starts to grow, but the real human layer of DIY architecture and gardens will follow the Local Knowledge of the respective culture and site. Paracity is always site-specific and it is always local.